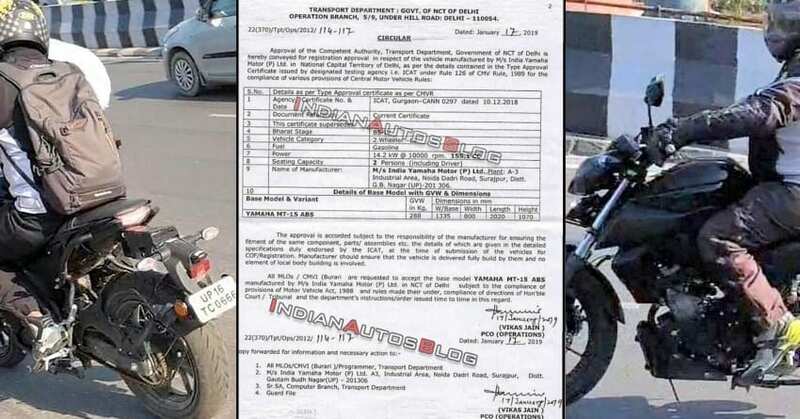 The specifications for the India-spec Yamaha MT-15 were leaked online through an official government document submitted by the brand for the registration approval. 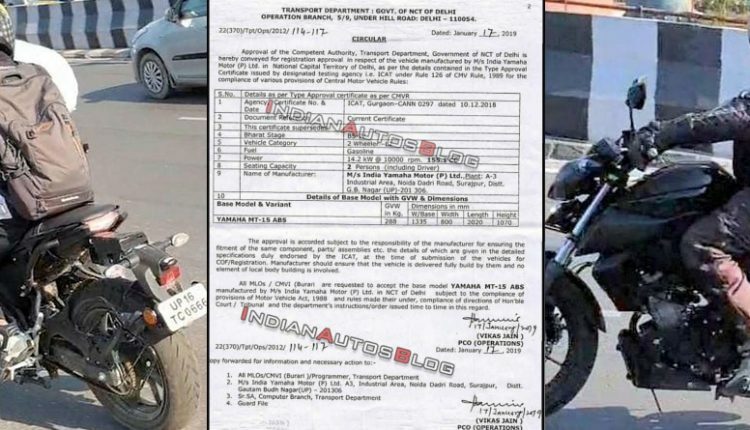 The motorcycle is using the familiar 155.1cc, single cylinder engine producing 19.3 HP of maximum power at 10,000 rpm (14.2 kW mentioned in the document). 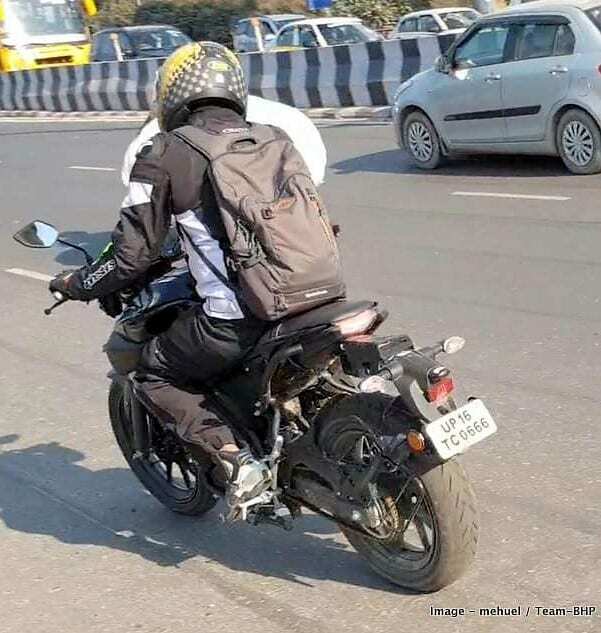 The performance expectations of the street motorcycle fans will definitely go up with this advancement as Yamaha has kept the output similar to the popular R15 V3. Also, the torque is expected to be 14.7 Nm at 8,500 rpm. The document has more values than just the max output. 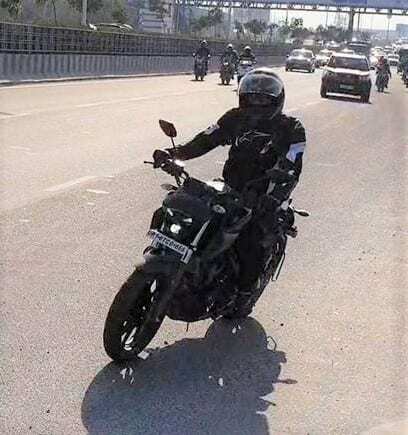 India-spec Yamaha MT-15 is listed with a gross vehicle weight of 288 kg and measures 1335mm in terms of wheelbase. Along with the overall width of 800mm, both the values are similar to the Indonesia-spec model. 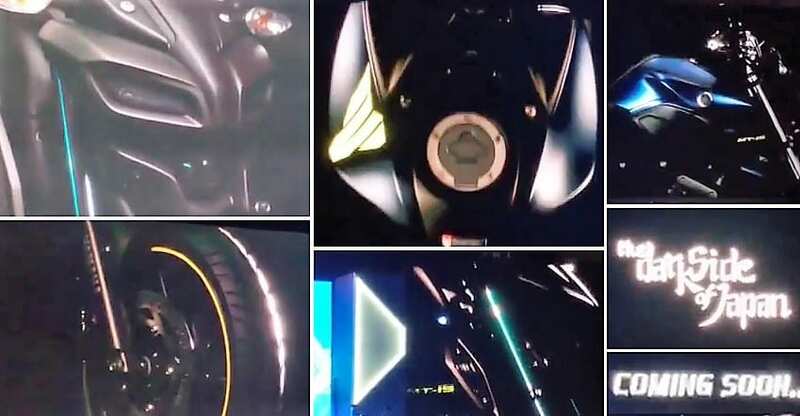 According to the leaked document, the motorcycle measures 2020mm in length and 1070mm in height. 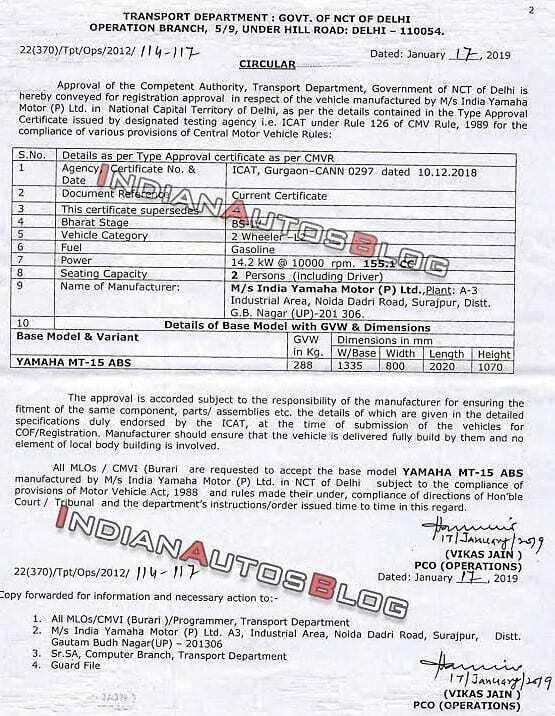 In comparison to the model in Indonesia, the overall height is higher by 5mm, hinting that the ground clearance for India-spec MT-15 will be 160mm instead of the 155mm. The length difference could be due to the use of different forks here. The motorcycle mentions ABS in the name and dual channel unit will be the most expected type for the safety feature. 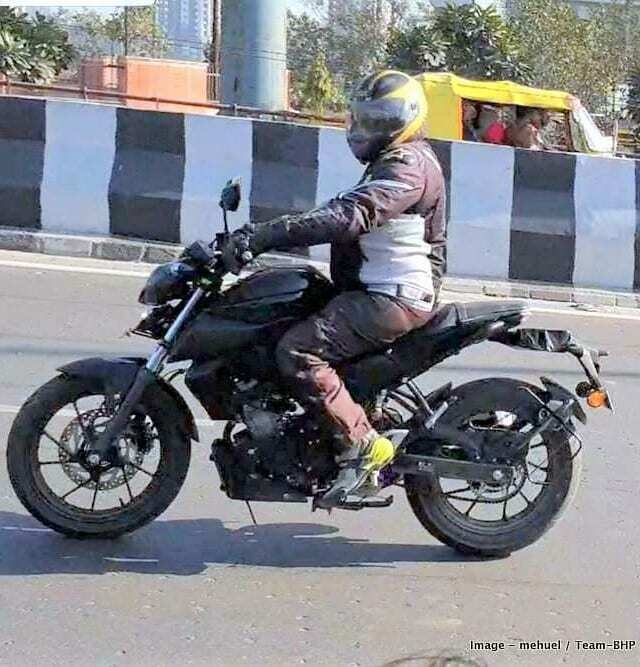 Yamaha MT-15 is expected to launch next month with an ex-showroom price tag of around INR 1.25 lakh, and the deliveries are expected to start from the 1st week of March 2019. What about the colour variants. Is the alloy color will be changed to black not orange? Pls reply. Thanks!